Rinse vegetables thoroughly under running water. Slice the cucumber length-wise or in half moons, cut the cherry tomatoes in half, finely chop the onions and cut the radish into thin flakes. Place the vegetables in a basin with the spinach leaves and the radishes and mix well. Season with salt,pepper, olive oil and white wine vinegar. 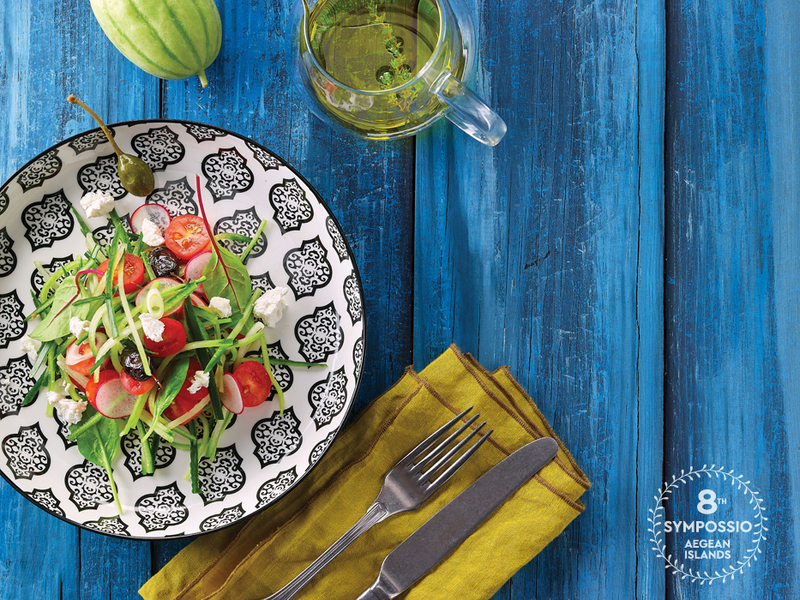 Serve on individual plates and sprinkle with capers, olives, anthotyro and fresh oregano leaves.